A couple of local shutterbugs have been kind enough to share their photos with Hawaii 24/7. 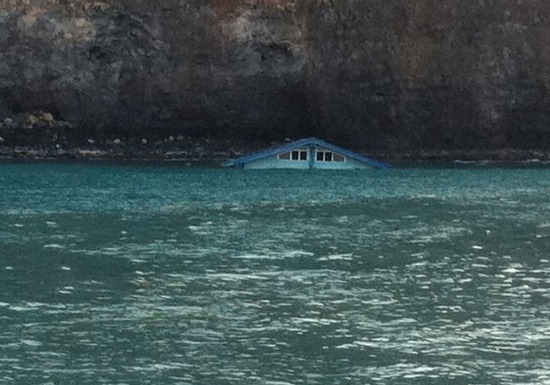 And, yes, this is a house floating in Kealakekua Bay. 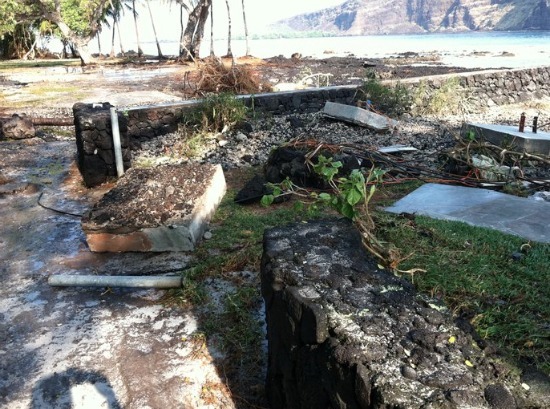 It used to be the two story vacation rental on Manini Beach. Photo is courtesy of Dustin Ballesteros. This photo is was taken by Lopaka Command, high above the bay, but still showing the impact of the tsunami. Awesome photos Anne Irene Wilcox – Take more,we in IOWA want to see them. Those of us who have fond memories of a very special in Hawaii feel the pain those of you there are experiencing. My husband and I have awesome picture and wonderful memories of this great snorkeling spot as one of the best in Hawaii. We sat on the beach after a long day in the water just so I could take a sunset picture forever saved in my scrapbook. Keep the faith Paradise is not lost you can recover and remember it could have been so much worse. Aloha, Ke Akua be with all of you. And we remember the swimm with Roberta and her dolphins. Still I cannot belive our impressions, the experience with the wales, dolphins, the wonderful Roberta and captain Kit, such warm heart touching people. In the TV we cannot take many informations about the situation in Hawaii, they send all about Japan. And we left Hawaii 10 days ago and have been on all this wonderful places, wonderful people and in the Alohaspirit. wir sind erschüttert über die Fotos, die Kathastrope im Pazifik, die Menschen, Tiere und denken ganz fest an Euch alle. Wir bekommen nicht viel Informationen über Hawaii, hauptsächllich über Japan. Wir sind vor 10 Tagen zurückgekommen von diesen unglaublichen Erlebnissen mit Roberta, Kaptn Kit und den Delphinen. Noch haben wir das nicht wirklich realisiert, was wir da erlebten. Wir sind dankbar für alle diese Geschenke, die wundervollen Menschen und das Abschiedgeschenk der Wale, die uns eine unbeschreibliche grossartige Show geliefert haben. Shouldn’t you really be thinking of the people of Japan who REALLY felt the force of all this. And not some part time resdents who losta aheavily insured holiday home? Our thoughts and prayers are with everyone affected by this tragedy. Of course we are horrified by the suffering in Japan. 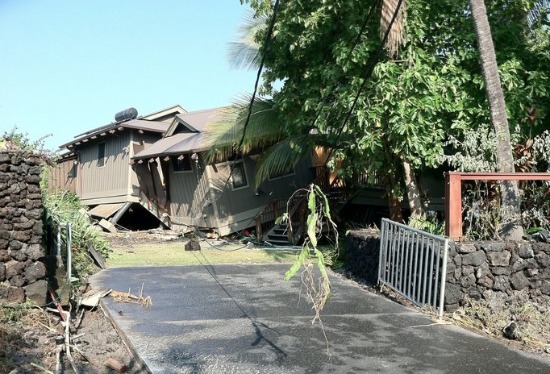 It is true that many of the damaged properties in Hawai’i are vacation homes, however, there was also a lot of damage to a small village further south. And we should feel compassion for everyone’s loss big or small. Just need something negative to say today?….. Not just “holiday Homes” were affected. Think of the waters here with all the debris that will take months to clean up. If there are houses floating in the bay , then there most likely massive amounts of debris in a once beautiful marine sanctuary. No one is not acknowledgeing the devastaion in JP. Don’t be a jerk. Voice of Reason: Most of the destroyed homes were local peoples’ modest family residences–and probably not insured against tsunamis. 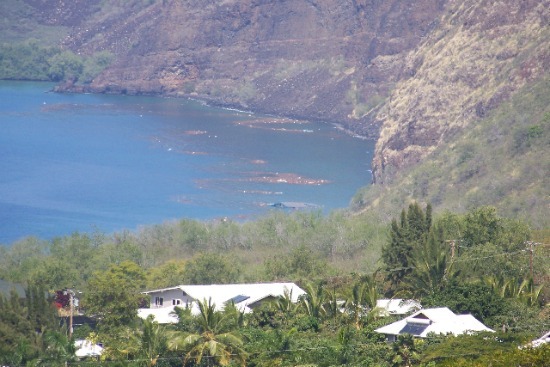 We who live by Kealakekua Bay feel for ALL who are suffering. My brother is not a part-time resident, and neither are the Mitchells whose house now house another house sitting on it. And to say we arenʻt thinking of Japan is not true. Voice of Reason my akole. Stupid – move back to where you came from. Voice of Reason,I live in Napoopoo and only one of those homes was a vacation rental.The rest was my freinds and neighbors and that’s their ONLY home,I believe.The owner of blue house floating in the bay is my friends too and although they part time residents,I’m sure they devastated.Also,the home we spend 2 days trying to clean up,is not insured,and everything they had was destoyed.We aware of Japan and feel for them.But we do have some clen up and rebuilding to do closer to home.But we really ARE thinking and talking about Japan.The Red Cross brought us plenty water and dinner tonite.Many people helping each other down here. We have visited this place many times and it is known to our family as the Magic Dolphin Bay. Our thoughts and prayers are with all of you as you work to restore this beautiful place. 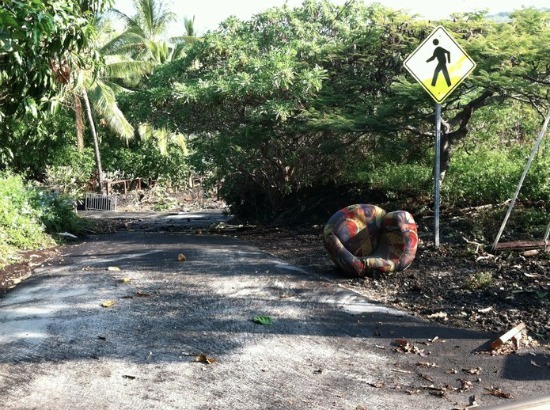 Makes my heart sad to see one of Hawai’i’s “local” places damaged like that. Lived in Kona for 15 years. Had Orchid Isle Appliance service there. Would always go to da beach there and eat lunch any time I had service calls in the area. Had my first shark experience there while swimming to Cptn Cooks Monument. Scary times for me and my son but not as scary as waking up to your house swimming with the dolphins. I thank God that nobody was hurt there. If you check my facebook page (Ginger Foust), you can see a before photo of that floating house. The devastation for all concerned is a real tragedy! We are grateful that our aloha home is ok. Thank you all you guys.I get to see um all up close because I live in Napoopoo.Been a looong 2 days of cleanihg up.Only the blue house floating in the water is vacation rental.All the rest was peoples homes.Their only homes,I think.We all aware of Japan and send out our deepest regrets and best wishes. 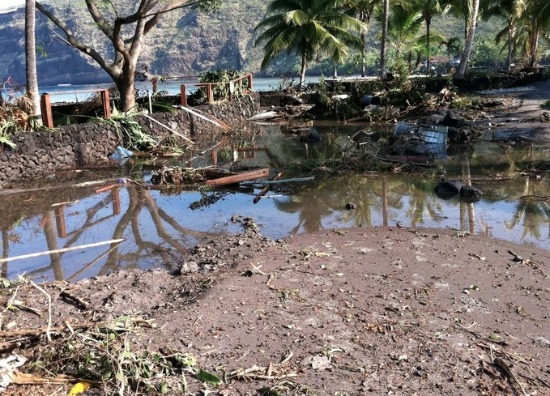 Napoopoo and Kealekekua Bay folks: you are in our thoughts and prayers. We are grateful for the aloha spirit that was shared with us when we visited, and we pray for strength and healing for all of you who live and play there. Mahalo, aloha, thank you for all the love you share to those of us who come to seek healing there. My prayers go out to everyone down at the bay and to the people of Japan. It is now more than ever that we need aloha in this time of need.I am sending Aloha to everyone,god bless you all. Shame on you “Voice”. What has happened to Japan is devestating, and what has happened on Hawaii has been overshadowed by this tradgedy. Good people have lost their homes, yet our media reports “no damage”. Even though it’s on a much smaller scale, it’s no less terrible to those people affected. The people of Hawaii are some of the kindest most giving people I’ve ever met, and of course they are thinking of Japan, even with their own mess to clean up. So while they are taking action, what are you doing to help? Have you given any contributions lately other than running off at the mouth? I kept looking for any damage to Hawaii. My class was watching on T.V. We were glad to see that you had no damage but I guess that information is wrong. You have had some terrible damage. I am so sorry for your loss. It is a beautiful place. I have visited your community twice. Once just last year and from what I understand about the people of this community is they will come together and fix it up because it is your home. One of the most beautiful on earth. Our thoughts are with you and I will share with my kids that the tsunami did hit the good people of Hawaii and not just Japan. I can’t say how many days I have spent on the chunky white coral of Manini beach, on the balmy grounds at Honaunau, or swimming from Napoopoo to Captain Cook’s monument. I remember eating bao from the cart at Napoopoo as a kid back when it was a sandy beach. Anakele once rescued my family and I when we decided we would try the hike from the top to Captain Cook’s and were too exhausted to climb back. 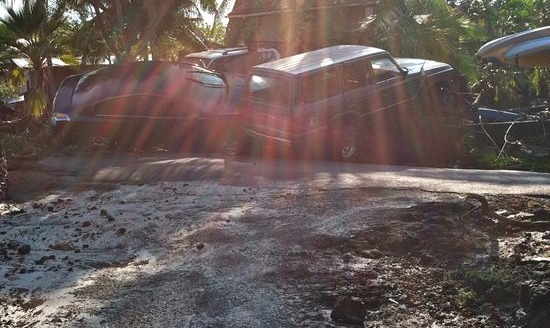 I can imagine Kealekekua Bay is devastated and my heart goes out to the families. 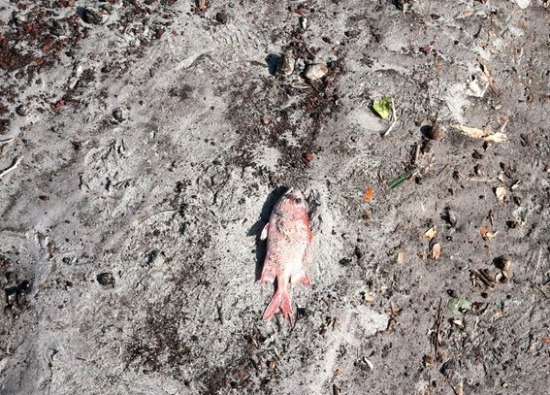 How has it impacted the fish life and the sea turtle family that lived between Manini and Napoopoo? I can only imagine the debris in the water right now. Did the waves destroy the coral too? Do the fish still have something to eat? In the last picture… is that all debris in the water? you live in a sacred place. your community embodies the spirit of aloha. . Even though i am only a part timer, I love the land you walk on. I find peace in the warm salt water. I give thanks every time i return and cry every time i have to leave. I known your dolphins and delight in snorkeling on your reefs. MAHALO for working so hard to clean up the bay. If i were there, I’d help you. My heart goes out to all those who have suffered loss. Wow. I never knew the effect of last year’s tsunami was that bad. On Oahu nothing happened. We never saw scenes like this on the media. Wonder why? But it’s good that we can see them now. Thanks for posting them!